~~Ashley Moore’s life forever changed the day her mother died, and she was sent to live with relatives. Now, ten years later, Ashley returns home, hoping to connect with her estranged father. 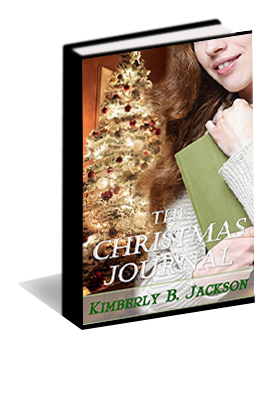 When she learns he’s decided to reopen the family’s Christmas lodge for the upcoming holiday season, Ashley volunteers to help. While cleaning, she discovers her mother’s journal detailing the last month of her life. Will the book hold the answer as to why her dad sent her away? Who is the mysterious Adam her mother keeps mentioning in the diary? Can the words of her mother reconcile father and daughter in time for Christmas? Available Through These Ebook Retailers & More! Dusting furniture wasn’t the type of gratification Ashley Moore craved in life. Since her return home, cleaning the old lodge had filled her days. Today felt different. She’d foregone the lodge, instead choosing her parent’s personal living quarters—a small cabin a short distance from the lodge. Now, she faced the one room she’d dreaded—her parent’s old bedroom. As she opened the door, dust particles floated in the air. Clearly, the room sat untouched since her mother’s death. A layer of dust coated the furniture—thick enough to write your name. A scent reminiscent of an old musky basement hung in the air. Pulling the closet door back, she realized her mother’s clothes still hung as they had ten years ago. “I can’t believe Dad hasn’t removed anything in here,” she said to herself as she ran her hands through her mother’s clothes. Touching the decade-old clothes somehow made her feel closer to her mother. A sneeze escaped her. Glancing to the left, she spotted her mother’s jewelry box, something she’d always loved to go through as a little girl. Lifting the top open, she gently picked up several of her mother’s costume rings. How she’d loved to play with them. Her eyes fixated on a silver cross necklace with a twenty-four inch length chain that her mother wore practically every day of her life. Unhooking the clasp, Ashley put on the necklace and looked at herself in the dusty mirror that hung above the dresser. A younger version of her mother’s face stared back, so much alike, but different too. The same brunette hair and petite frame. The same small nose and brown eyes. But Ashley had her father’s mouth. Drawing back the curtains released ten years of built-up dust that danced around the room as she struggled to open the somewhat uncooperative widows. The air outside was cold, but fresh, and necessary. It circulated throughout the room, sweeping away the gloom. As she exited the room, she closed the door. Following a tense lunch of take-out pizza her father brought, she continued to choke on the questions she needed him to answer. She would surely gain courage to ask them sometime. With a sigh, she took a stepladder from the pantry, and returned to her mother’s room. Stepping on the ladder, and with several forceful jerks, she pulled the curtains until she’d unhooked the old, iron rod from the wall. Next, she collected the fallen material and placed it in a box. Soon after, she focused on the bed and with one pull, she yanked the bedspread and top sheet off, then removed the fitted sheet and pillowcases. As she cleared away the last pillowcase, something red caught her eye. Depositing the sheets and bedspread into the laundry basket, Ashley then returned to the bed, feeling the red, hard edge she’d noticed under the mattress. With both hands she grasped the item, and with one great tug, an old, dusty red book appeared in her hands.